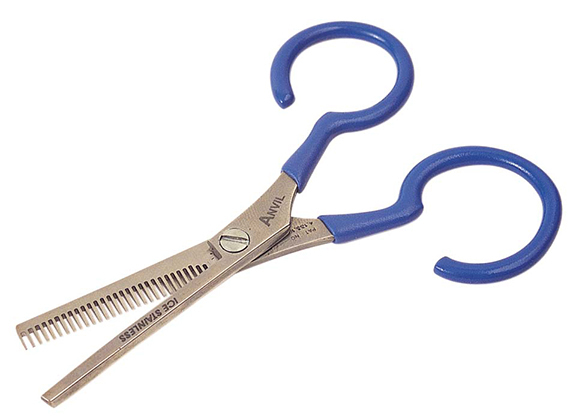 Anvil Ultimate Taperizer Scissors are specially designed for the thinning of synthetic and natural wing materials. The special slots allow the thinning and blending of fibers in one easy step, giving a lifelike appearance in far less time than conventional methods, making the "Ultimate Taperizer Scissors" is ideally suited for tying larger saltwater flies. Ice tempered and 4” in length, these Anvil scissors are great for deer hair work on caddis deer hair patterns. The Anvil Taperizer Scissors also feature user adjustable cushioned handles and blade tightening screw.